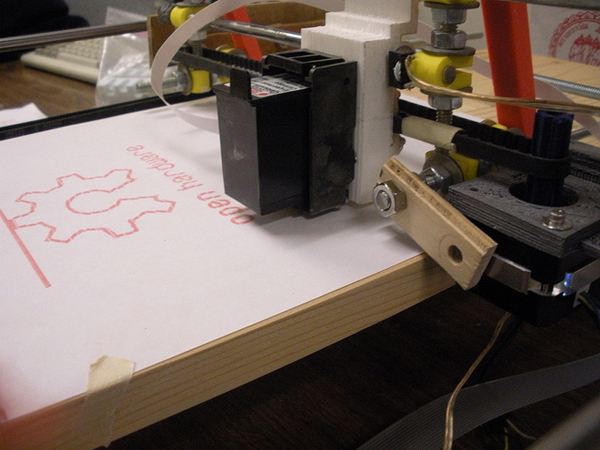 The prototype design used a carriage assembly constructed from steel rods that were assembled using connectors that can be printed on an FDM machine. 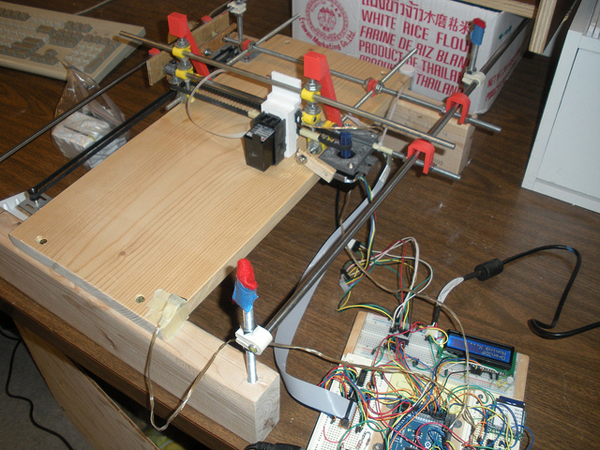 The entire carriage system is driven along the x-axis by a belt attached to a stepper motor. The print cartridge, taken from an HP point of sale printer, is driven along the y-axis by another stepper motor belt drive. The electronic controls use an Arduino Mega to run all of the printing systems. The design resulted in a working prototype that fulfills all of the design constraints. The rod frame carriage design is lightweight, easy to assemble and easy to integrate with the other systems. The Arduino used in the electronics has a large library of resources available to perform things like LCD, SD card, and stepper control. Areas where future work should be focused include making molds and casting printable parts to bring down the overall cost, developing host side software, and optimizing the speed. Read the blog post and see the project’s Flickr set the Thingiverse thing.